Fig. 1. 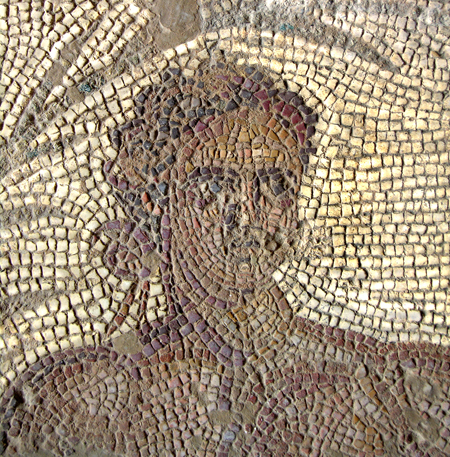 Eutychia mosaic, detail of athlete (N. Anastasatou and B. Robinson; courtesy American School of Classical Studies, Corinth Excavations) (= fig. 6 in published article). Fig. 2. 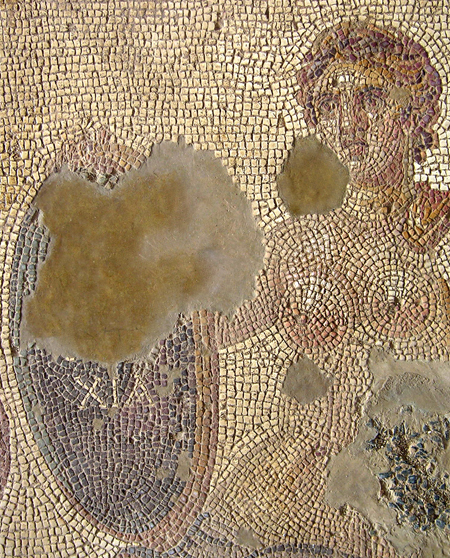 Eutychia mosaic, detail of female figure and her shield (N. Anastasatou and B. Robinson; courtesy American School of Classical Studies, Corinth Excavations) (= fig. 7 in published article). Fig. 3. 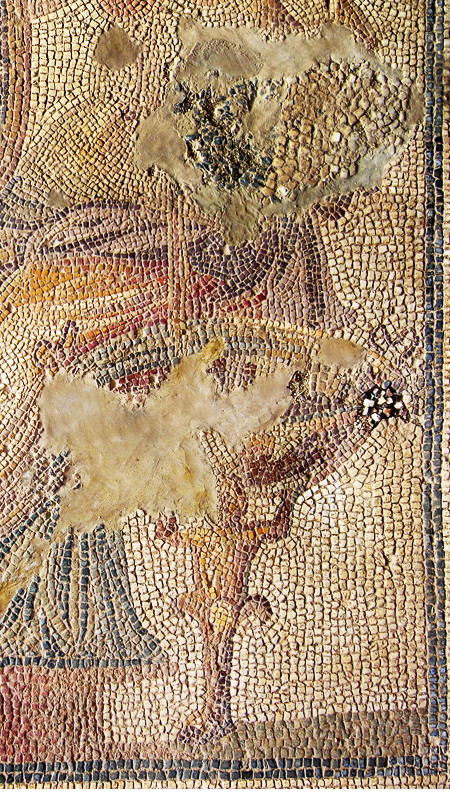 Eutychia mosaic, detail of repairs to vessel in left hand, basin, and support figure (N. Anastasatou and B. Robinson; courtesy American School of Classical Studies, Corinth Excavations) (= fig. 8 in published article). Fig. 4. Mosaic pavement, showing musical and athletic contests, late second or early third century C.E. Patras, Archaeological Museum, inv. no. Ψ.Π.1 (courtesy Sixth Ephorate of Prehistoric Classical Antiquities) (= fig. 12 in published article). Fig. 5. Ephebic relief, showing the kosmetes and ephebes (National Archaeological Museum, Athens; © Hellenic Ministry of Culture and Tourism/Archaeological Receipts Fund) (= fig. 13 in published article). Fig. 6. 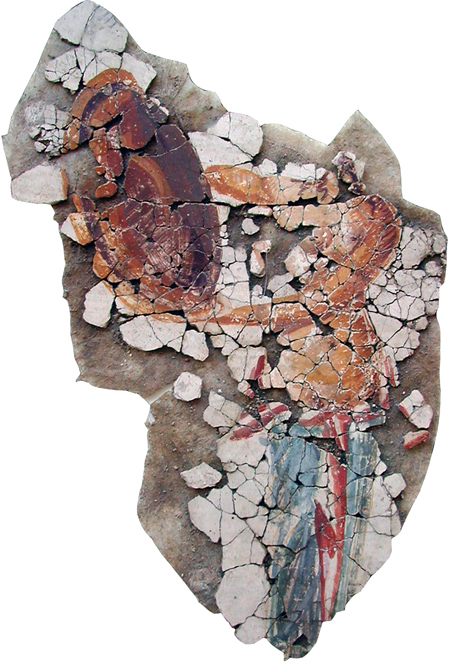 Wall painting of the Aphrodite of Acrocorinth (Corinth A-1990-8) (I. Ioannidou and L. Bartziotou; courtesy American School of Classical Studies, Corinth Excavations) (= fig. 17 in published article). Fig. 7. 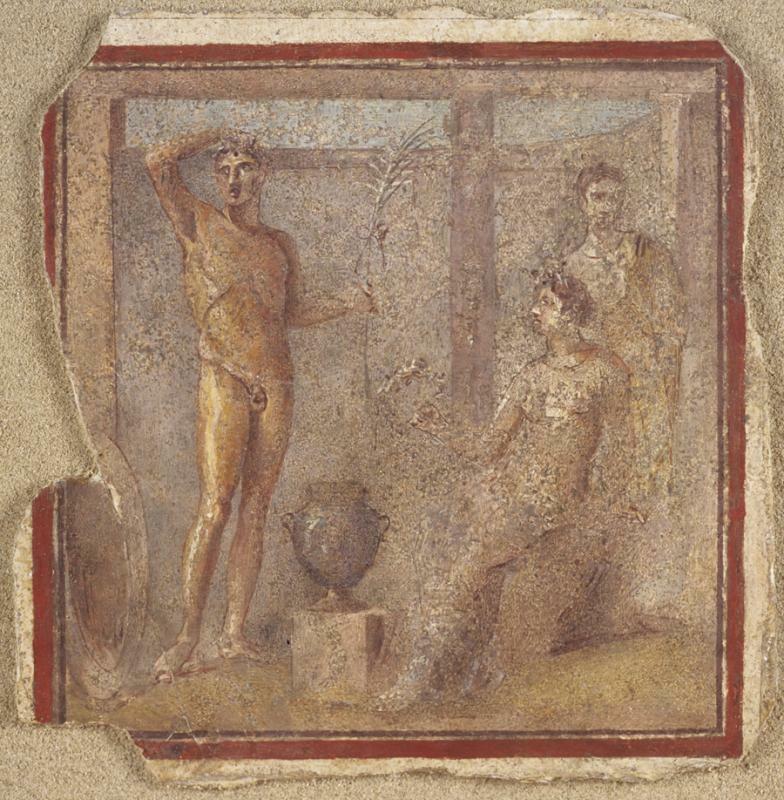 Painted panel, showing athlete with palm crowned by female personifications, Quirinal Hill, Rome. Rome, Museo Nazionale Romano, inv. no. 103421 (courtesy Ministero per i Beni e le Attività Culturali, Soprintendenza Speciale per i Beni Archeologici di Roma) (= fig. 20 in published article).